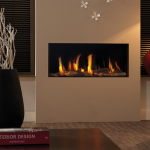 Balanced flue gas fires can instantly heat up homes which do not feature a chimney or flue, as they do not require a conventional chimney for installation. 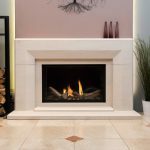 Popular for their high efficiency, the heat generated from this fireplace has the capability to heat a room of any size, offering a performance which is second to none. Balanced flue fires are a room-sealed gas appliance and, as such, do not require an electric supply to operate; all that is needed is an outside wall for installation. Furthermore, no extra room ventilation is necessary as the process uses fresh air from outside your building. Whether you are looking for a traditional outset look or would rather a modern hole-in-the-wall style, there is an impressive range of outset and inset models available to suit your requirements, tastes and budget. 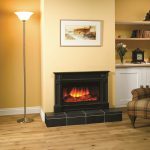 Additionally, the size of the balanced flue fire you choose will depend on how much heat you need; this required heat output will be determined by the size of the room. 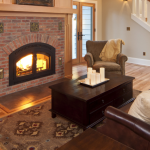 A major advantage of balanced flue gas fires is that a chimney is not required for installation. 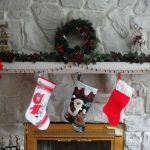 Therefore, homeowners without a chimney in their property can still benefit from a high performance, cost-effective fireplace to instantly heat their room. Balanced flue gas fires are a popular choice amongst homeowners for their highly efficient operation, boasting an overall efficiency of 85+%. 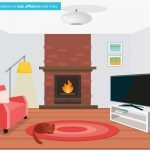 Their minimal fuel consumption makes them a far more energy efficient option compared with many alternatives, saving you money on energy bills as well as improving the green credentials of your home. As part of its highly efficient design, balanced flue gas fires are also very quiet during operation, so you won’t need to worry about being disrupted by any loud noises when enjoying a good book in front of your fire. By incorporating a glass front into the design, there is an extra level of safety while the fire is lit, which is particularly beneficial in households with young children. Delivering on style as well as functionality, the glass panel feature also adds a touch of elegance to the room. The versatility of the flue gives you complete control over the position of the fireplace, so you can choose from a range of different designs to find the perfect centrepiece. 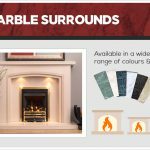 With such a comprehensive range on offer, those who require a balanced gas flue fire as they do not have a chimney in their home do not have to settle for a generic design – there are a plethora of styles available.